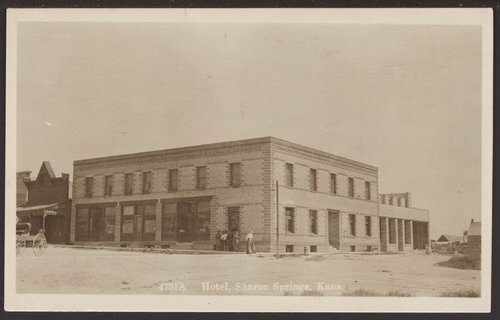 This sepia colored postcard shows the Sasnak Hotel in Sharon Springs, Kansas. To the left is Dr. Carter's office and to the far right is the Fred Wildman building. Sasnak is Kansas spelled backwards.